Belem is a picturesque district to the west of Lisbon, which is the location of many of the capital’s most notable and important tourist attractions. Belem is situated on the northern banks of the River Tagus and from the ancient harbours of Belem, ships set sail around the world, and many of the 14th century “voyages of discovery” departed from here. Historically the Belem district was where Lisbon's elite resided, to escape the poverty and depravity of the inner city. This combination of history, scenery and varied tourist attractions makes Belem one of the most enjoyable areas of the Lisbon to visit. This guide will provide an overview of Belem and will detail the main tourist attractions of the district. 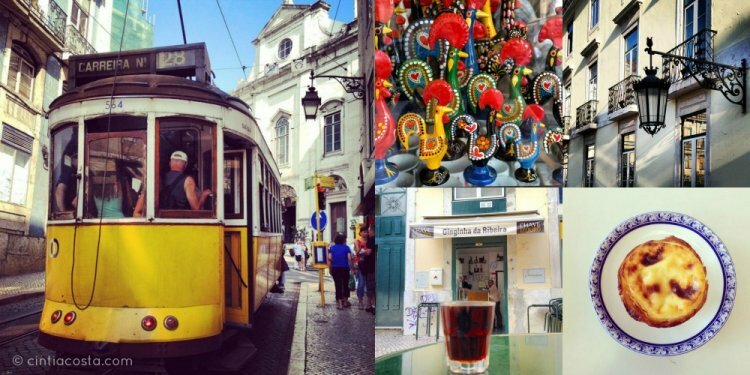 Belem is 5km to the west of the Baixa district and downtown Lisbon. The easiest method to travel to Belem is by the number 15E tram, which departs from Praça do Comércio. The journey takes 15 minutes and a single ticket purchased on the tram costs €2.85. The unlimited public transport ticket for 24h costs €6.00 and can be purchased from any metro station (but not on the tram). The tram stop for Belem is very obvious being called “Belem-Jeronimos” and is next to the vast Jeronimos monastery. A typical visit to Belem takes half a day but this can be easily extended just by including all of the museums or a walk through the botanical gardens. The main tourist attractions can get very busy during the height of the summer season or at the weekends, so plan to visit them either earlier or later in the day. There are numerous cafes and restaurants, but it is highly recommended to try a Pastel de Nata from “Pastéis de Belem”, the traditional home of the delicious cakes that go by the same name. For details about a walking tour of Belem. The best activity in Belem is the 30 minute walk from “Pastéis de Belem” to the Torre de Belem. This route passes the Mosteiro dos Jeronimos, the Discoveries Monument and goes through carefully maintained parks (namely, the Jardim da Praça do Império and the Jardim da Torre de Belem) while following the banks of the Tejo Estuary. On a bright sunny day, there is no better walk than this in Lisbon. The Mosteiro dos Jeronimos is the extravagant monastery that was funded by the wealth and trade that flowed from the Portugal’s colonies during the 16th century. The site was closely associated with the early Portuguese explores, as it was the location that Vasco da Gama spent his last night before his epic voyage to India. Later, wives of sailors would come and pray here for the safe return of their loved ones. The monastery is simply breath-taking, with beautiful stone carvings throughout the vast religious building. To read more please click here. The Belem Tower was constructed to guard Lisbon from sea bound attacks and was positioned in the centre of the Tejo Estuary but today, due to changes of river flow, the fort is now located on the banks of the Tejo River. The design of the Torre de Belem was heavily influenced by North African styles, with Moorish watch towers, decorative battlements and the first European stone carving of a Rhinoceros. To read more please click here. The Discoveries Monument is an imposing concrete monument that celebrates Portugal’s explorers and the era of discovery. There is an observation deck at the top of the monument which provides wonderful panoramic views over Belem, to read more please click here. The Pastéis de Belem bakery is the traditional home of the delicious Portuguese cake, and no trip to Belem is complete without trying one. . To read more please click here.